Released on July 21. Action and dance-rich Tiger Shroff and Nawazuddin Siddiqui’s movie “Munna Michael” is not getting much response. That same movie proved to be a failure in the theater to woo the audience more. Shabbir Khan has directed the film “Munna Michael”. And in this film I will see you dance to Nawazuddin Siddiqui on the screen for the first time. After watching this film with a lot of action and dance, the audience says. That the story of this film is a little weak. Consider the same Bollywood Bollywood pundits. So they had to believe That film will earn around 10 million on the first day. But the film earned only Rs 6.65 crores on the first day. Actually “Munna Michael” was released around 3,000 screens across the country. Talk about those same-screen theaters. So in the single screen theater, “Munna Michael” got a good view of the movie. But if you talk about the multiplex theater. So 25-30 percent of the viewers in the morning show at Multiplex Theaters came to see the film. That’s what you tell me. That “Munna Michael” has become the second highest opening film of Tiger Shroff’s career. Nidhi Agarwal has also made her debut in Bollywood with the movie “Munna Michael”. Now it will look. 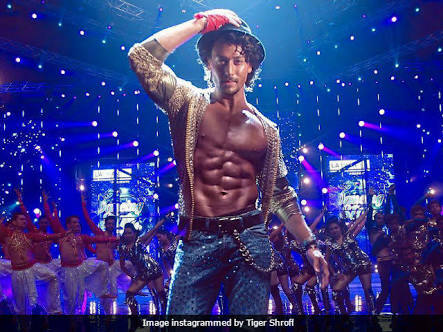 That’s how Tiger Shroff’s action and dance-rich movie “Munna Michael” is able to show in the weekend.